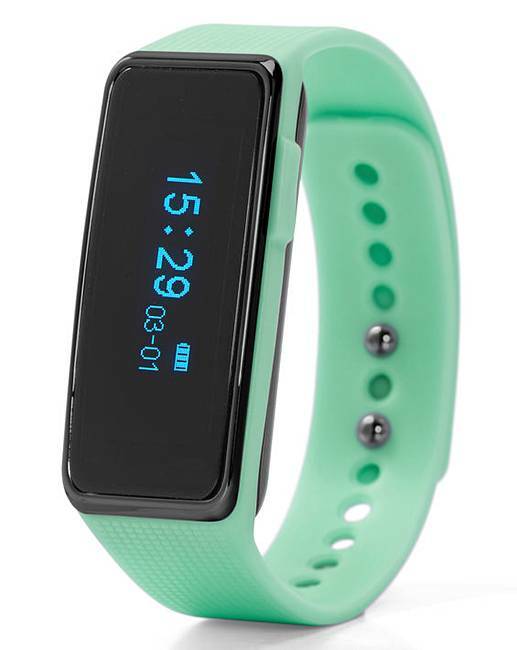 The NuBand Activity and Sleep Tracker counts your steps, calories burned and distance travelled. Time/date/battery life remaining display. Tracks your sleep and wakes you up silently with a vibrating alarm. Reminds you to exercise when you have been inactive for long periods. Motivates you to get to your desired goal. Suitable for walking, running and the gym. Water-resistant – splash-proof only. 3 hour charge lasts 5-7 days. Download the free app to register your daily performances. Compete and share the data with your friends via Facebook/Twitter. Bluetooth 4.0 syncs with IOS 7 and Android 4.3 and above.